Many thanks for visiting our website, I hope you will find it helpful. I have been in Education since 1989, and have worked as a Teacher, School Leader, Head Teacher and a Consultant in the UK. I have taught from Reception up to year 10 and am an English specialist, although as a Primary teacher, have taught every subject (even PE and Design Technology!) during my career. I was a Consultant for the County Council, working with the National Strategies for Excellence and Enjoyment and Literacy Strategy, developing Middle and Senior Leadership to embed best practice in all Primary and Middle Schools across the County and training school staff. In my heart, whatever position I have, I am always a teacher, I love to see others grow and help them to become excellent facilitators of learning in a positive and productive environment where children can flourish, reach their full potential and feel secure and appreciated. 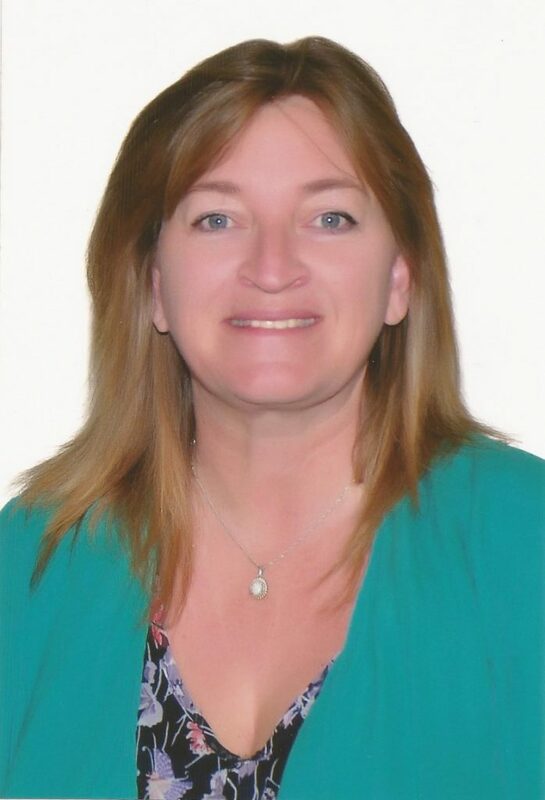 I have worked in the UAE for 3 years prior to being appointed as the Principal in SMM, as a Head Teacher and Vice Principal in a very successful International School in Al Ain. What I particularly liked about SMM was the caring and compassionate environment and how all members of the school community work to support each other and do the best for every child, parent, and staff member, and I know that you will feel this when you visit. Our Catholic ethos and the values provide a sound code of conduct and work alongside the 4 pillars of the Moral Education agenda in promoting tolerance and respect for others ensuring that we have well rounded, thoughtful students. At SMM, we strive to provide the best education and equip our students with the skills to become inquisitive problem solvers capable of challenging and analysing the world around them. We encourage an investigative approach to learning and celebrate the ability to take part and have a go without fear of failure, because true progress comes when you can reflect on experience and learn from it. We work with the UK National Curriculum and given the recent changes, we are excited about the greater flexibility provided in order to ensure that we can offer an innovative, exciting diet of learning for each student, to equip them with the skills to flourish in our ever changing world, and to compete on an International level in whatever sphere they wish to progress. If you would like to arrange a visit to the school please contact us and we will be very pleased to show you around our vibrant campus and introduce you to the world of St Mary’s Muhaisnah. Many thanks for your interest in the school.